In windows in keyboard switch settings there is an option that you can switch keyboard language with unique combination for each one. For example, Ctrl + 1 - for english, Ctrl + 2 - for russian, Ctrl + 3 for ukrainian etc. 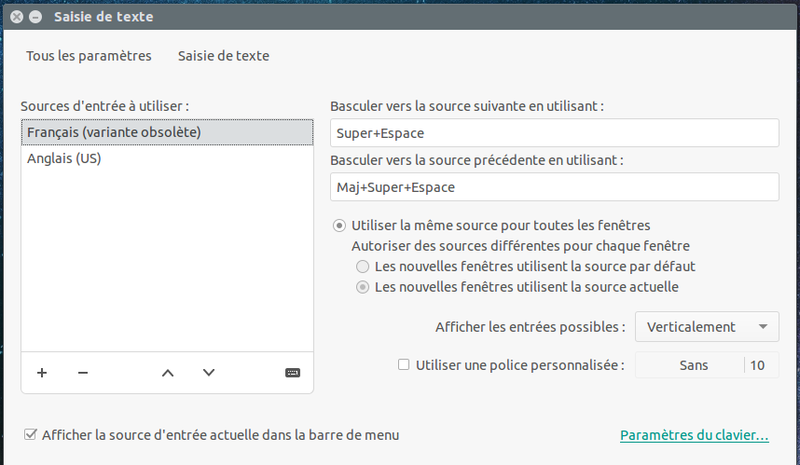 It would be super handy, if there is an option to set this thing in Ubuntu. 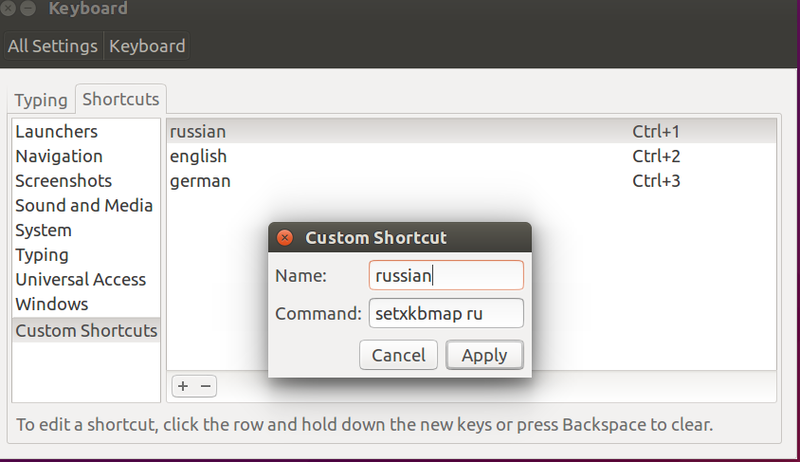 The setxkbmap command maps the keyboard to use the layout determined by the options specified on the command line. Press Apply. Click on 'Disabled' and press Ctrl + 2 to make this as a shortcut for enabling Russian. You can quickly switch between your installed keyboard layout by pressing Super + space bar. System settings > Text Entry. Not the answer you're looking for? Browse other questions tagged keyboard shortcut-keys 15.04 keyboard-layout or ask your own question. How can I assign hotkey for a keyboard layout?